The M200 is the most popular of the M Series. 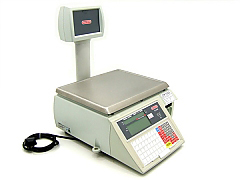 These type of scales will help you conduct your business more effectively and profitably. Aswell as an integrated operater display it has a column mounted customer display for maximum customer visibility. 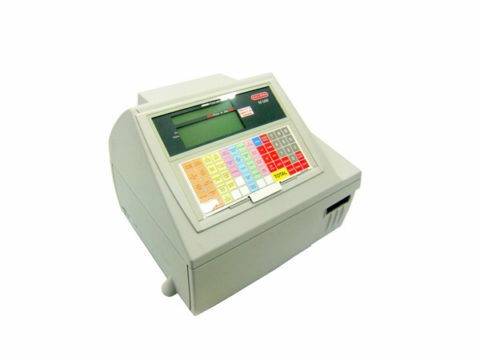 It offers both receipt and label printing with 40 pre-set keys and can be configured to your business needs for fast efficient operation. They have a print speed of up to 100mm per second which drastically helps to reduce queues and enhance customer service. The cassete printer will take rolls up to 120mm in size and can be removed and reloaded in seconds. It has ample data storage capability for even the largest retail operation including memory for approx 3,000 PLUs as standard with an option for expansion for up to 10,000 PLUs. They are ready to operate with any legislative traceabilty system and can be used for any type of product anywhere in the world. You can even print vouchers and promotional offers alongside your labels and receipts. 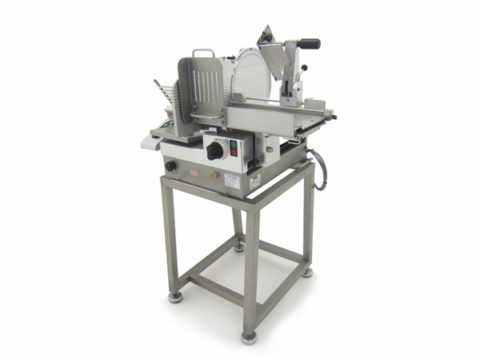 They will weigh up to 15kg and the flat weighing plate is made of stainless steel. It has 7 segment displays for weight, tare, unit price & total price with a 160×16 pixel area giving a line of 16 characters. As you can see by the photos this set of scales are in good condition, some slight scuffs but nothing bad and perfect working order. Year of manufacture 2003 with 5.2 software. 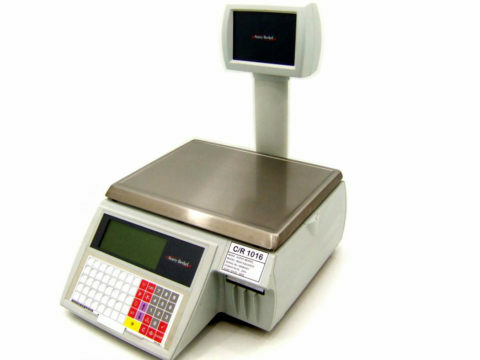 Scales have been formatted, are ready for you to programme.